Local belief says that the Yukon ice patches have been a preferred caribou hunting ground for the ancestors of Carcross/Tagish First Nation Citizens for at least 9000 years. 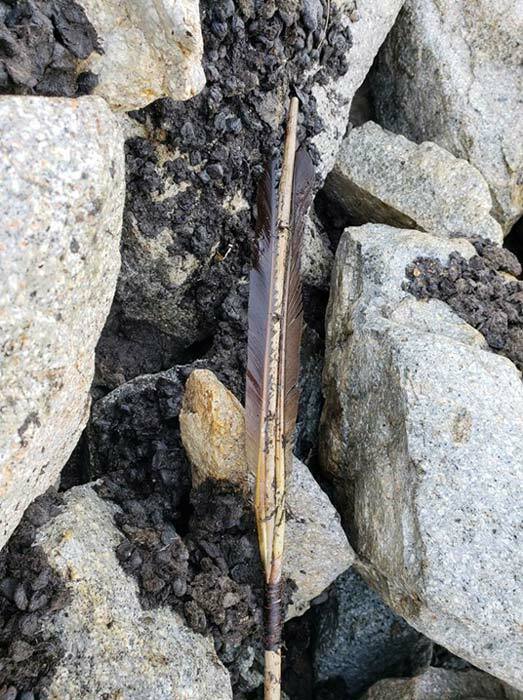 Just recently, an archaeologist exploring one of these sites near Carcross came across a surprisingly well-preserved intact throwing spear dart, with feathers and all, which would have been used by an indigenous hunter some 1,000 years ago. 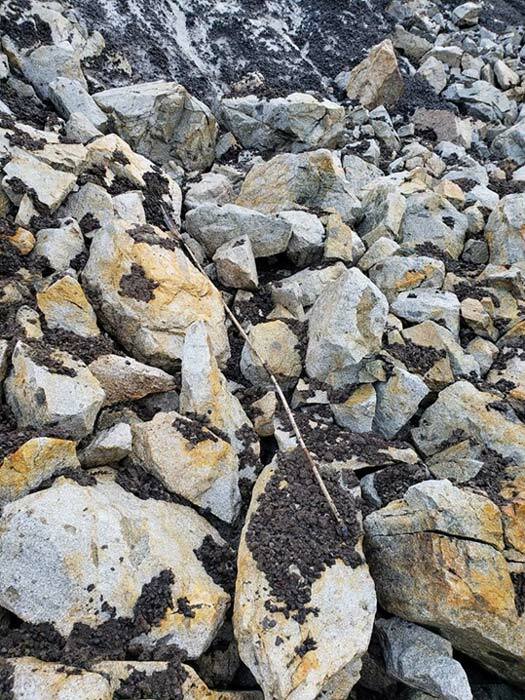 The Carcross/Tagish First Nation Facebook page explains that there have been caribou congregating on the ice patches during the summer for thousands of years. The animals head to the patches to escape the heat and bugs. But they have traditionally been met at their summer site by indigenous hunters. Those hunters have left behind several artifacts providing evidence for their purpose at the ice patches and the ice has helped preserve many of the items. 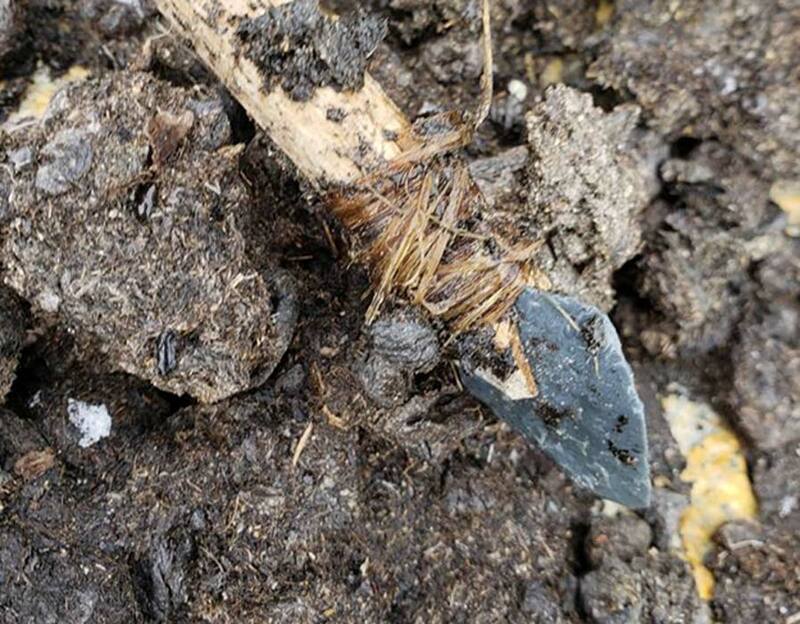 Some of the tools are especially fascinating for today’s archaeologists, such as the discovery of an intact dart used in an atlatl (a type of spear-thrower used in the Americas ). According to Herkes , this is the first fully intact artifact of its kind to be found in the Yukon. The ancient dart is said be at least 1,000 years old. The complete spear measures five feet (1.52 meters) long. The most exciting part is that all the dart’s components are there for analysis. Researchers will be able to use the materials to discover more about the different resources an indigenous hunter had accessible to him 1,000 years ago. "When you have a full complete spear like that, it really allows people to connect with their heritage and what their ancestors were doing on the land, thousands of years ago. Everybody gets really excited. I don't know how many times I've had to pull my phone out to show pictures to different people. It's a pretty great way to bring the community together." The Yukon ice patches near Carcross have revealed other artifacts to researchers in the not so distant past. A few weeks before the atlatl dart was found, archaeologists discovered a ground stone point. That’s an unusual find because chipped-stone tools are more common in the area. And in January CBC News reported a remarkable copper-tipped antler arrow point was also found in the ice patches near Carcross. Yukon archaeologist Greg Hare found the artifact while traveling with a documentary film crew. Hare said that radiocarbon dating confirms the copper end blade of the arrow “is one of the oldest copper elements that we ever found in the Yukon.” It has been dated to 936 years old. The Yukon ice patches near Carcross have been flagged as a potential UNESCO world heritage site.